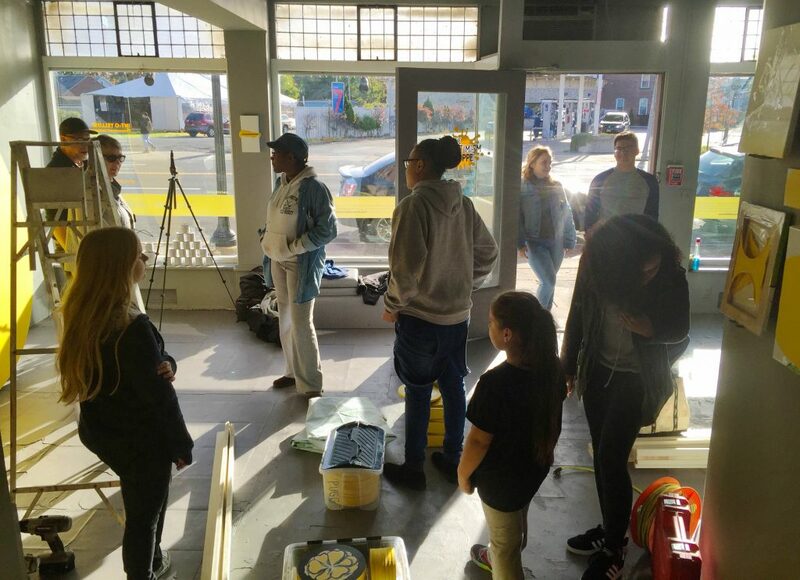 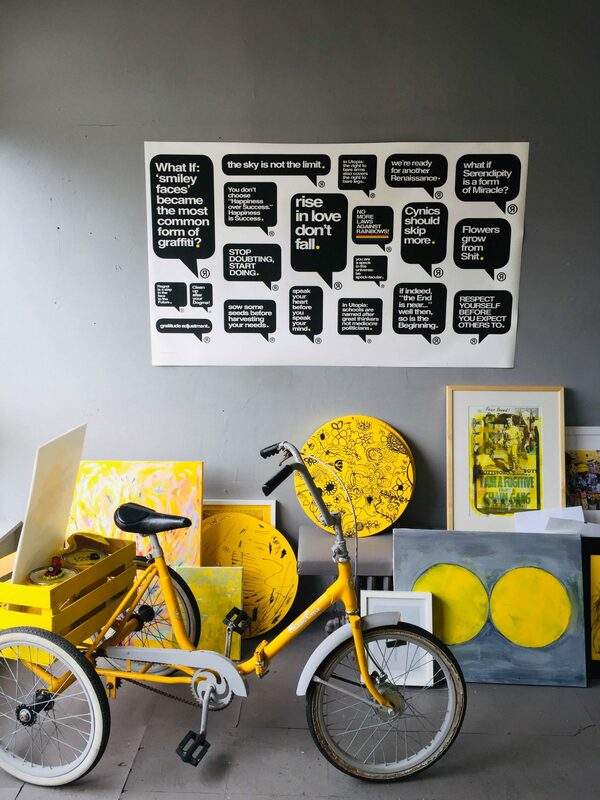 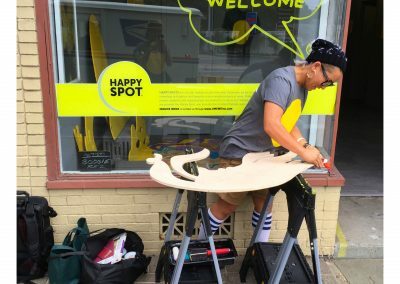 Pop-up public studio and creative laboratory for exploring and sharing Optimism in a derelict storefront. 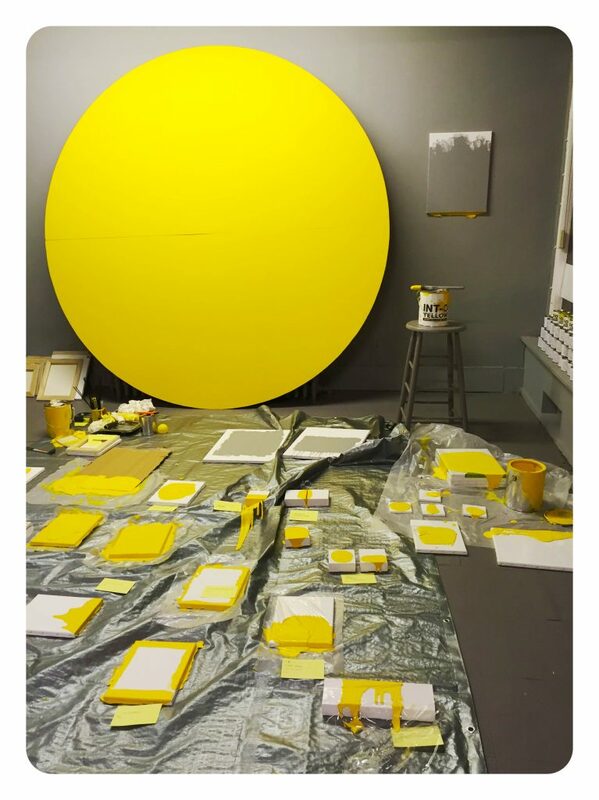 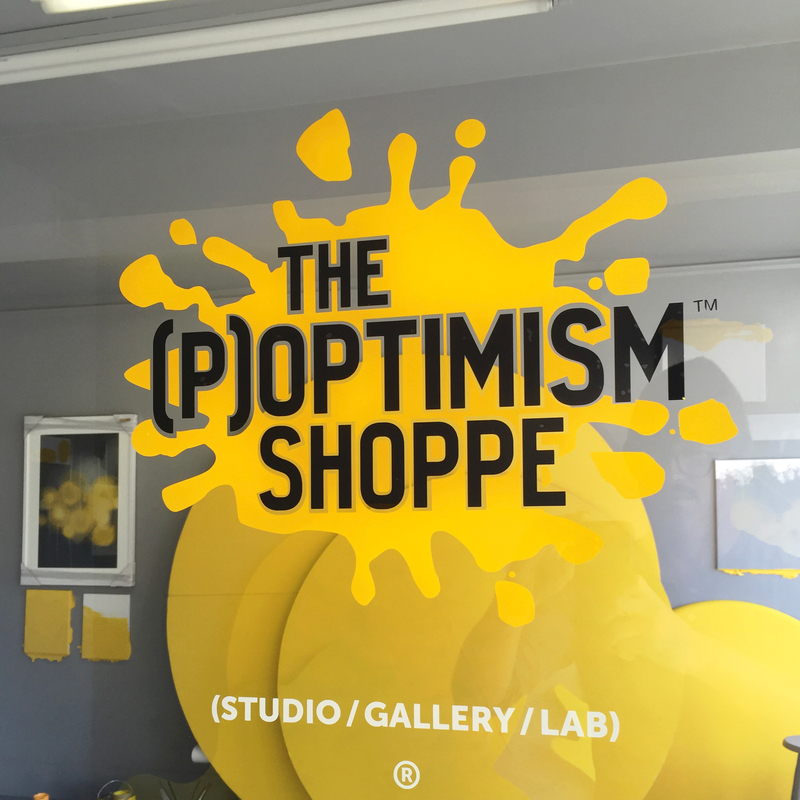 The (P)optimism Shoppe was Uncle Riley’s pop-up public art studio-gallery-lab meets artist-residency program in Kingston, New York. 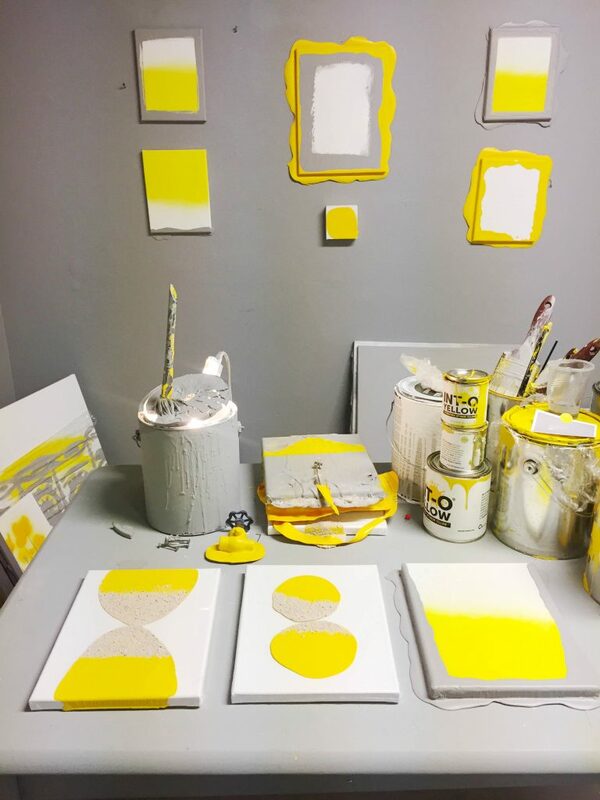 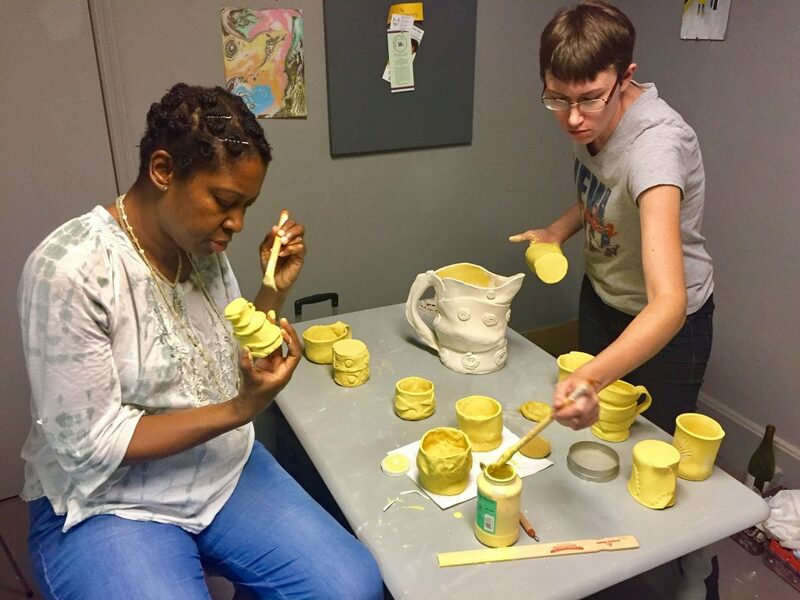 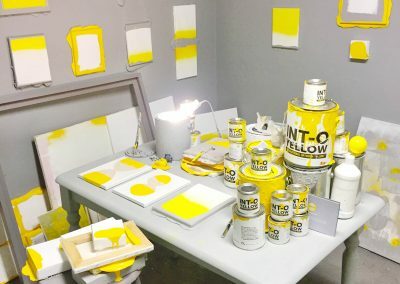 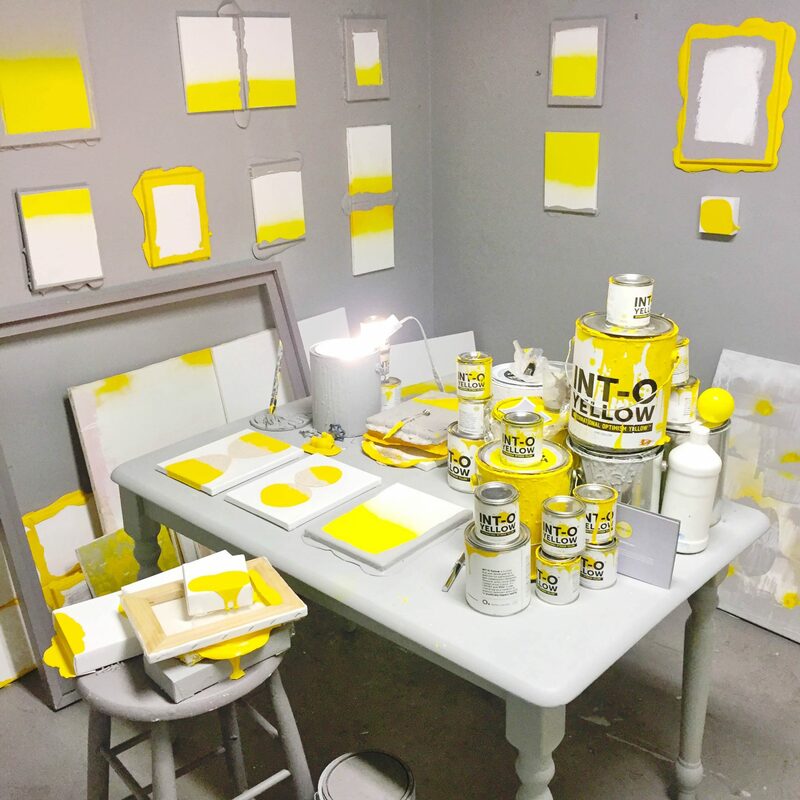 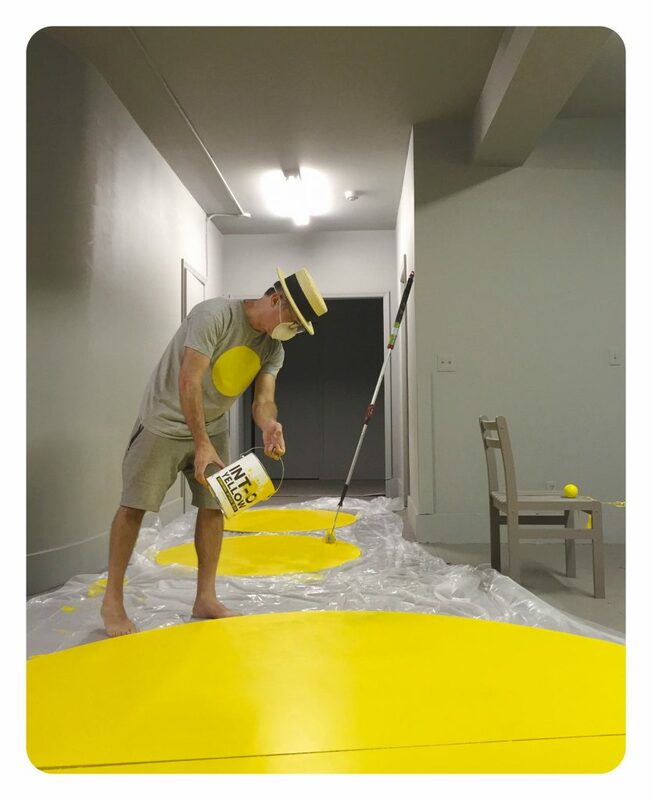 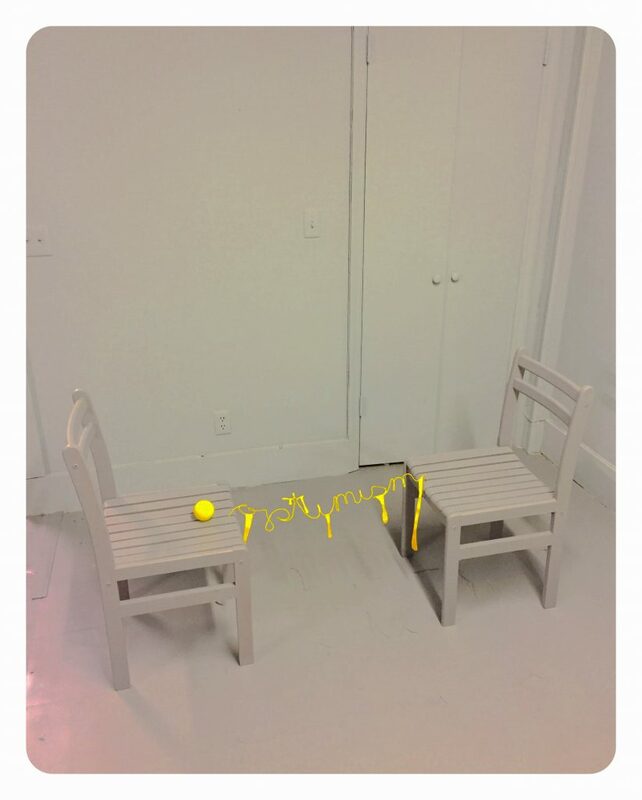 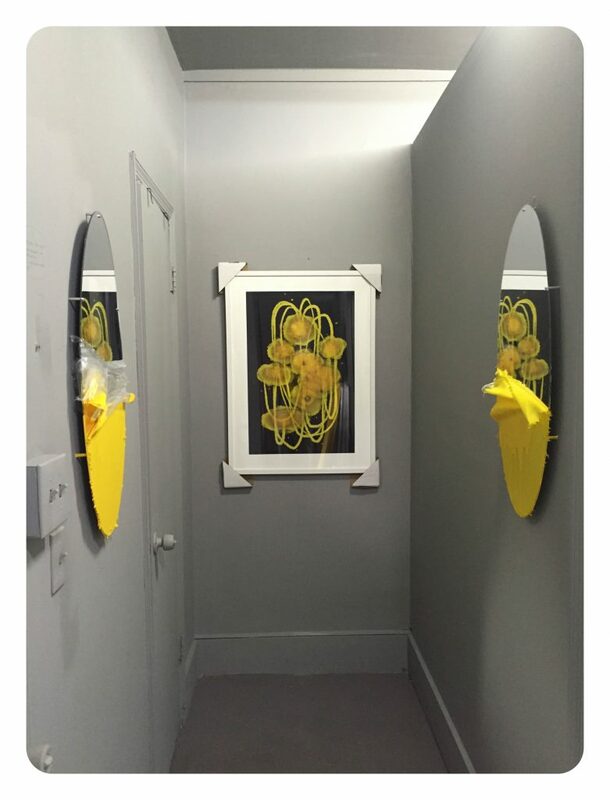 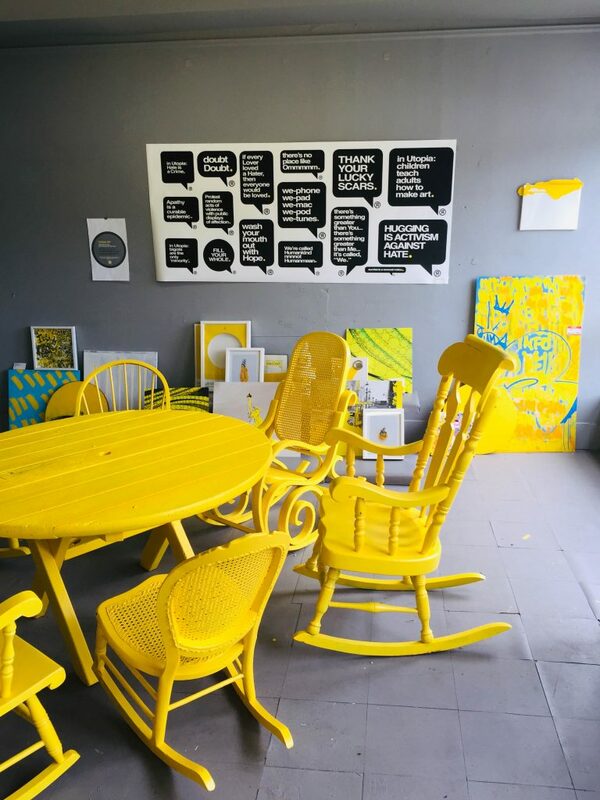 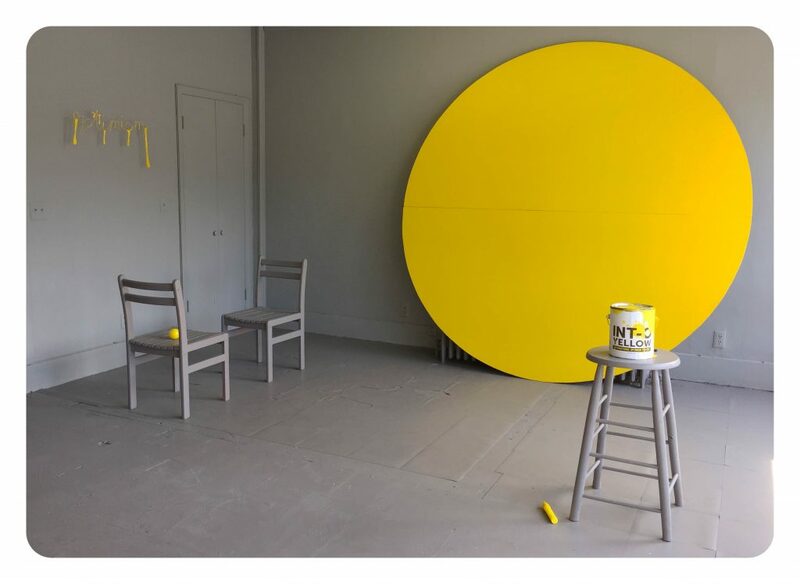 The space was formerly a massage parlor painted pink in a derelict building that Uncle Riley converted using 50 gallons of INTOyellow and Void Gray, as well as upcycling objects and furniture from the neighborhood. 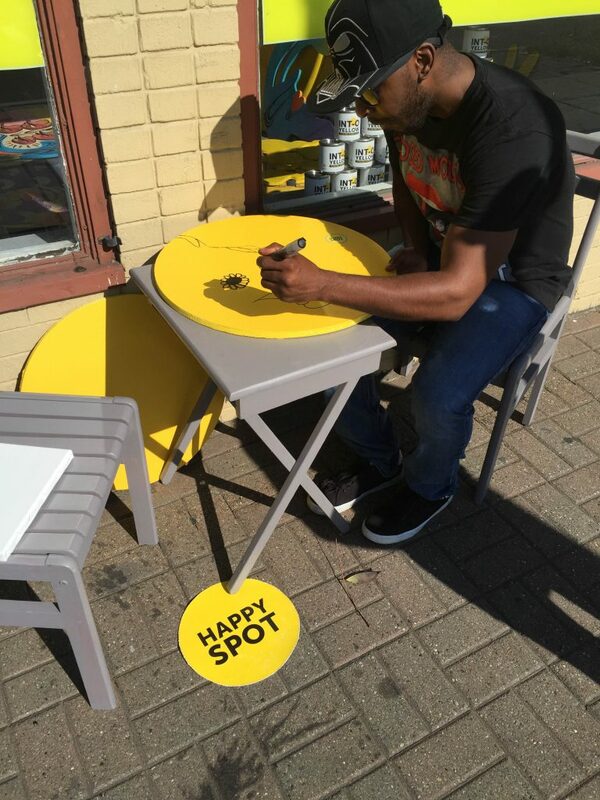 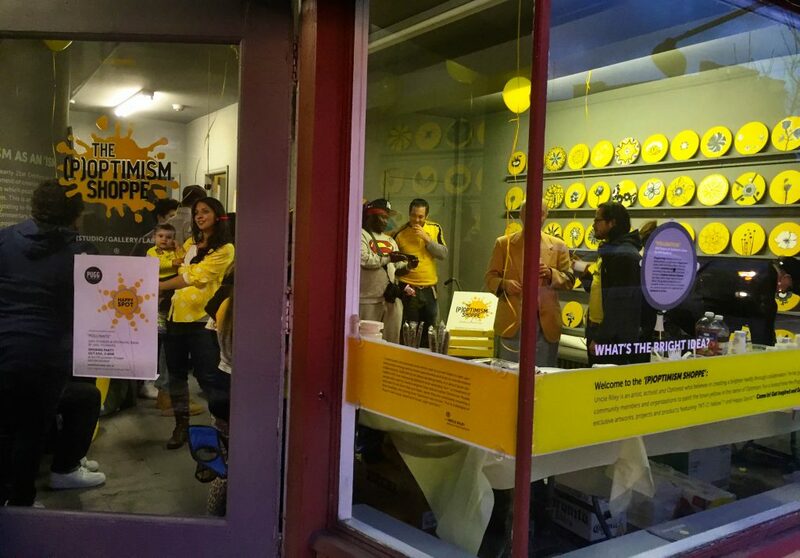 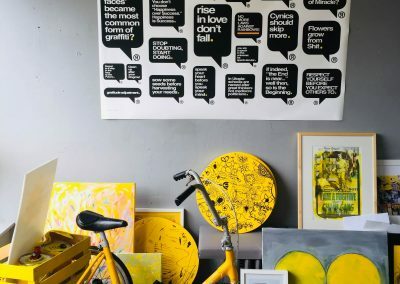 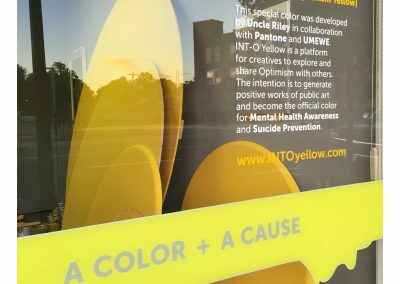 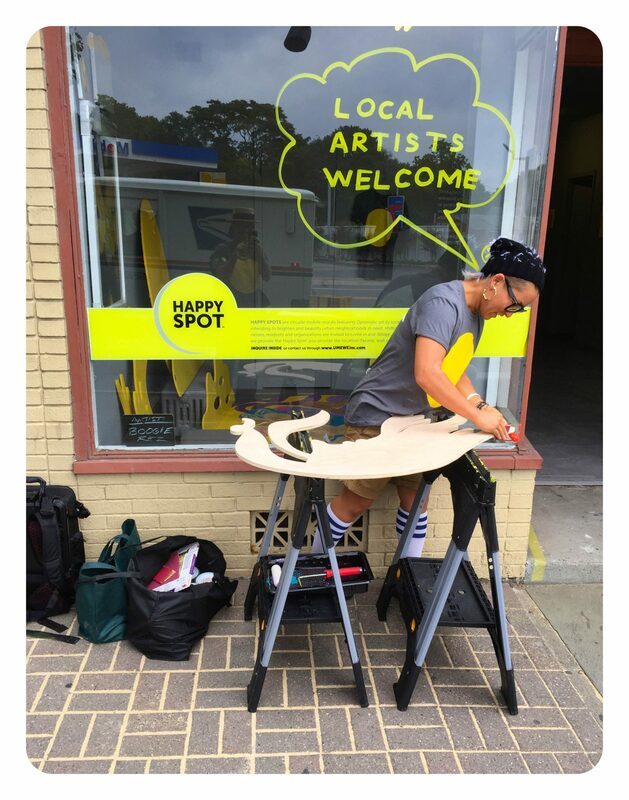 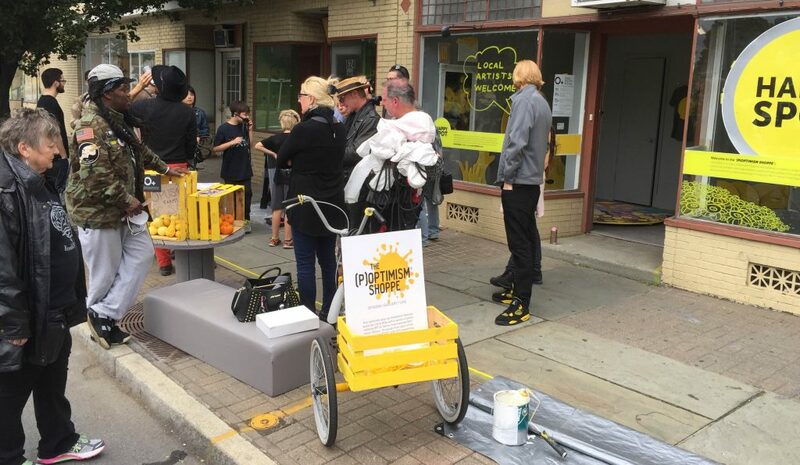 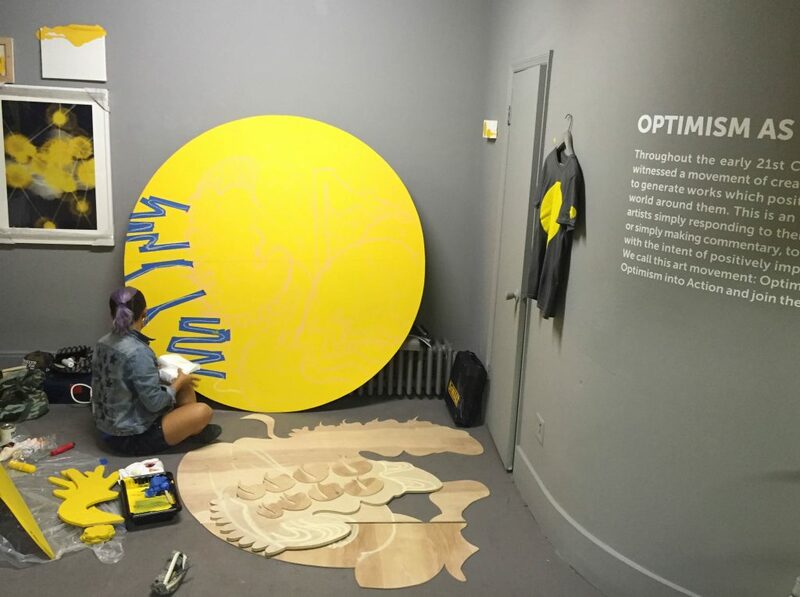 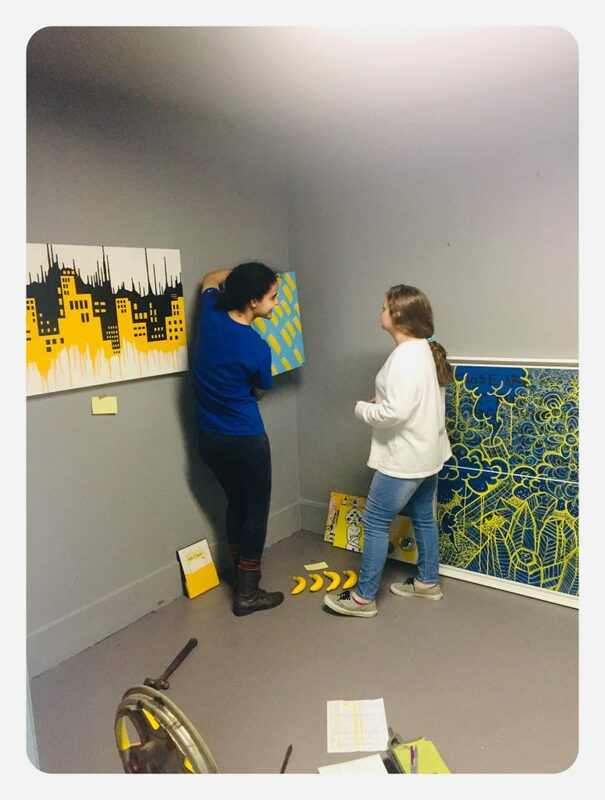 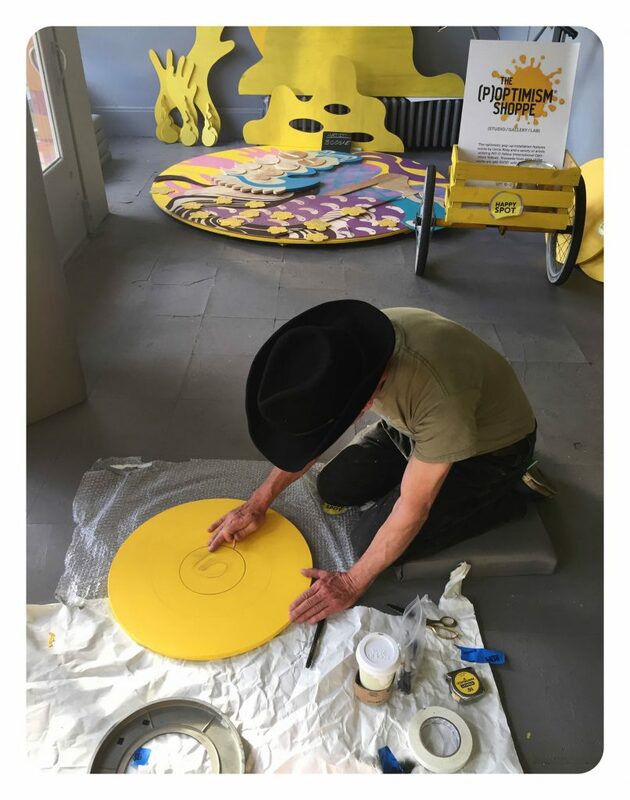 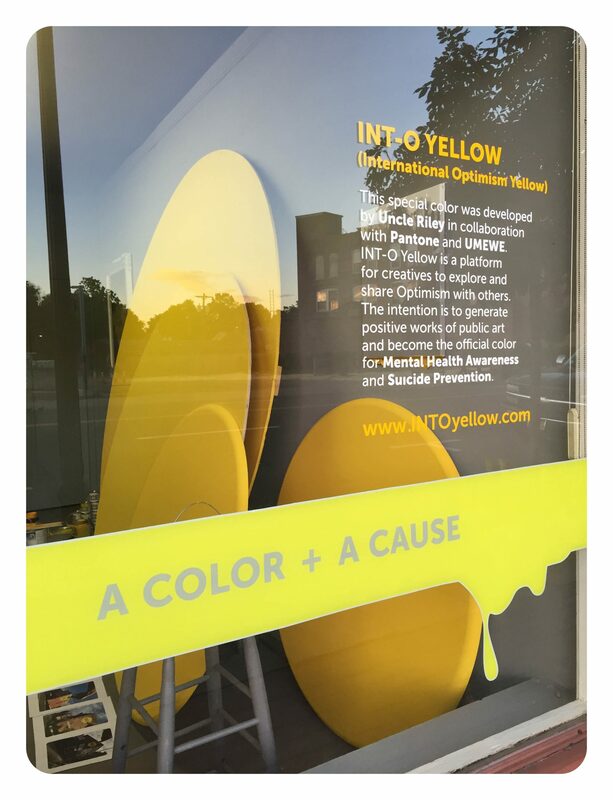 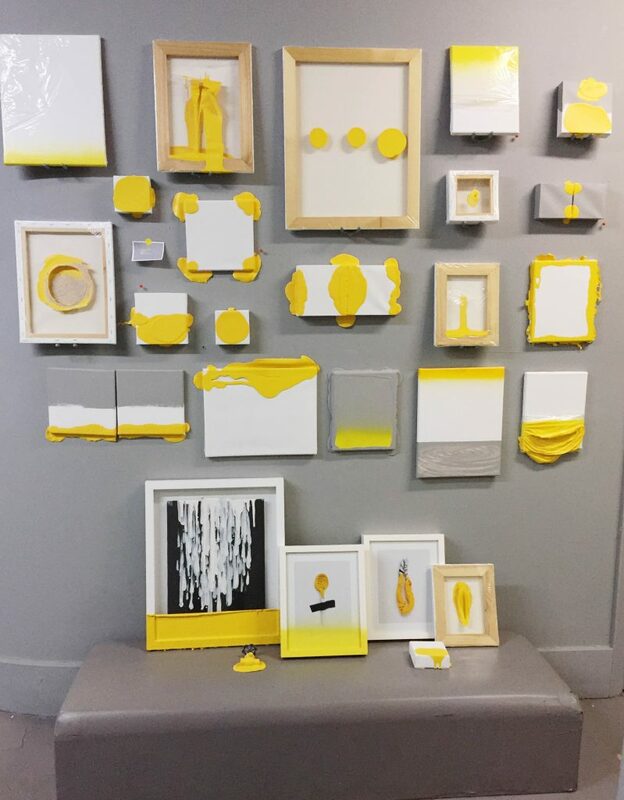 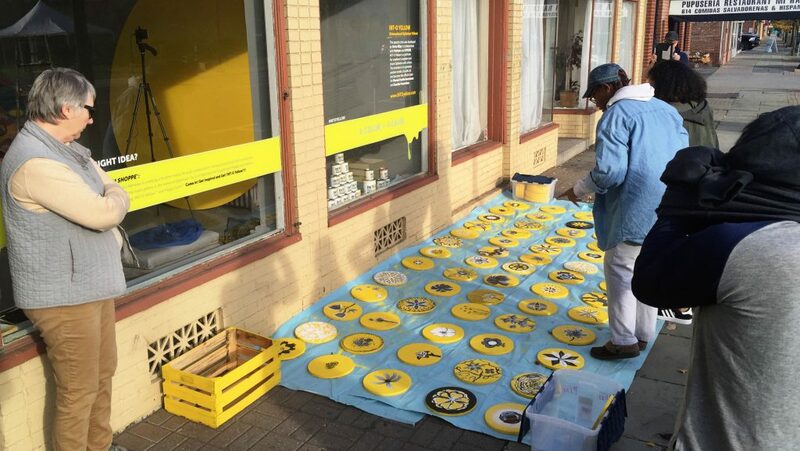 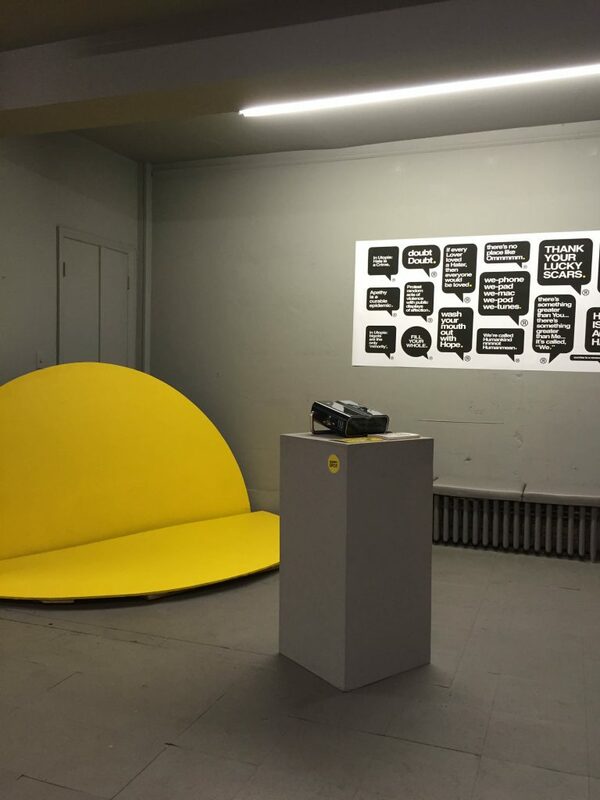 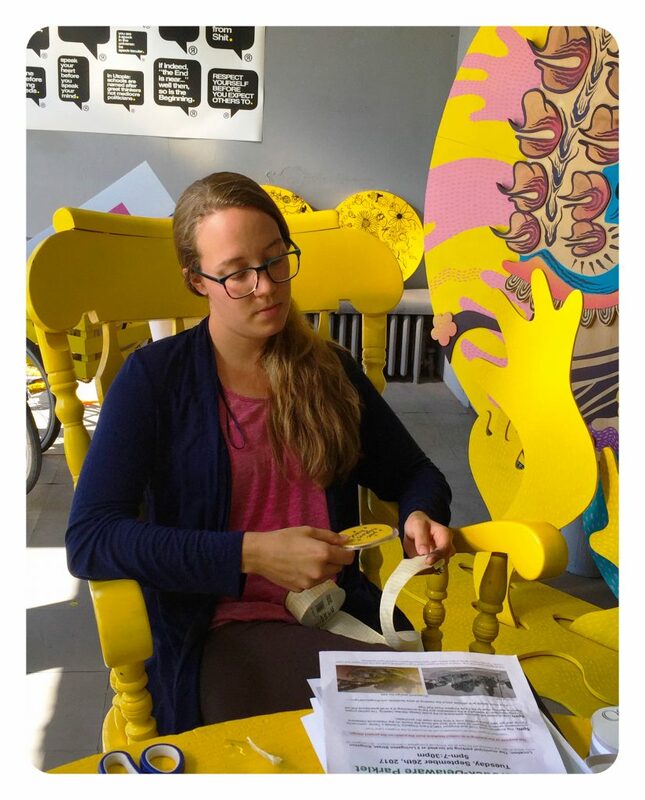 Although the (P)optimism Shoppe was initially envisioned as a 3 month pop-up, the community embraced it, and it was extended to 17 months as a public space where the community was welcomed to join in creating positive works of public art with INTOyellow, explore Optimism as an art movement, and provide suggestions for how and where to brighten the neighborhood. 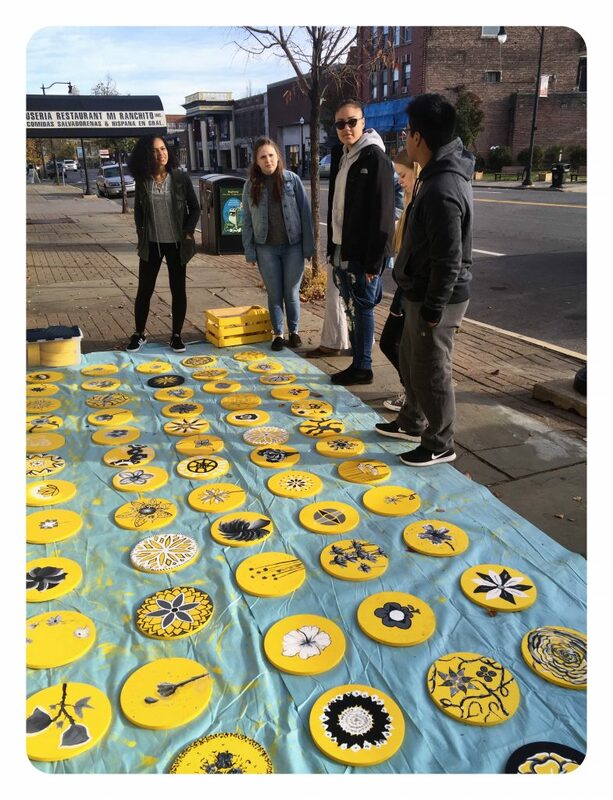 Inspirations for the project include real-time collaboration, collective ideation, stimulating and inspiring conversations and creating spaces to explore regenerative economic models.